Sources close to Pawtucket RHP and SoxProspects.com #1 prospect Clay Buchholz have indicated that Buchholz will be recalled for Saturday's start against the Baltimore Orioles. Buchholz made his major league debut on August 17th when he pitched 6 innings, giving up 4 runs (3 earned) on 8 hits, while striking out 5 and walking 3 in a 8-4 win over the Los Angeles Angels. 8/31 Cup of Coffee: Last night, Pawtucket edged Buffalo 3-2. Devern Hansack (10-7) went 7 innings giving up 2 runs on 4 hits and a BB. He had 4 Ks. Bryan Corey threw a scoreless, hitless inning. He allowed 1 BB. Travis Hughes pitched a scoreless inning allowing 1 hit. Jacoby Ellsbury extended his consecutive game hitting streak to 25 games going 2 for 4 with 2 runs scored. Jed Lowrie went 2 for 4 with a RBI. Portland defeated Trenton 7-6. Tommy Hottovy threw 7 innings giving up 2 runs on 6 hits and 2 BB. He had 6 Ks. Barry Hertzler went an inning giving up 2 runs on 2 hits and a BB. Mike James (2-3) blew the save but was credited with the win giving up 2 runs on 3 hits and a BB in 1 inning of work. He had 1 K. Jeff Corsaletti went 1 for 4 with a home run and 3 RBI. Bryan Pritz went 2 for 4 with a home run and 2 RBI. Jay Johnson and John Otness each went 2 for 4 with a run scored and a RBI. Lancaster clinched the Southern Division 2nd half Championship of the California League with a 13-1 win over San Jose. This gives the Jethawks a clean sweep of the titles as earlier in the season they won the 1st half title as well. Dustin Richardson (4-0) threw 5 no-hit shutout innings to earn the win. He gave up 4 BB and had 3 Ks. Cody McAllister went 3 innings and did not allow a run on 3 hits. He had 2 Ks. Kyle Fernandes pitched the 9th and allowed 1 run on 3 hits and a BB. He had 1 K. Ryan Khoury went 3 for 4 with 3 runs scored and 2 RBI. Steve Garrabrants went 3 for 3 with 3 runs scored and 2 RBI. Brad Correll went 2 for 5 with 2 RBI. He is now hitting .352. Zach Daeges went 1 for 3 with a home run and 4 RBI. Augusta defeated Greenville 3-2. Brian Steinocher (3-12) went 8 innings allowing 3 runs on 8 hits and a BB. He had 2 Ks. Richie Lentz pitched a scoreless 9th. He allowed 1 hit and a BB. Kris Negron went 2 for 3 with a home run and 2 runs scored. Lowell bombed Tri City 13-0. Miguel Socolovich (5-3) pitched 6 scoreless innings allowing 3 hits and 3 BB. He had 4 Ks. Ryne Lawson went 3 scoreless innings allowing 3 hits. He had 4 Ks. Oscar Tejeda went 3 for 5 with 3 runs scored. He is hitting .349. Yamaico Navarro went 5 for 5 with 2 runs scored and 4 RBI. Deshaun Brooks went 2 for 4 with a home run, 2 runs scored and 3 RBI. Player of the Night: Dustin Richardson who threw 5 no-hit, shutout innings to help the Jethawks clinch the 2nd half Southern Division title. 8/30 Cup of Coffee: Last night, Pawtucket trailed 6-3 in the bottom of the ninth when George Kottaras 1 for 4 stepped to the plate and hit a 3 run homer to send the game into the 10th inning. Brandon Moss 1 for 4 then drove in the winning run in the bottom of the 10th to give the PawSox a 7-6 win over Buffalo. David Pauley went 5 innings allowing 3 runs on 5 hits and 2 BB. He had 4 Ks. Craig Breslow went 1/3 of an inning and gave up 3 runs on 3 hits. Craig Hansen went 1 2/3 scoreless innings and struck out 2. Bryan Corey went 1 1/3 innings and did not allow a run or a hit. He had 3 Ks. Travis Hughes (7-6) went 1 2/3 innings and did not allow a run, hit or a BB. He had 2 Ks. Jacoby Ellsbury went 1 for 5 to take his consecutive hit streak to 24 straight games. Jed Lowrie went 3 for 5 and scored 2 runs. Jeff Bailey went 3 for 4 with 2 runs scored and a RBI. Bobby Scales went 2 for 4 with a run scored and a RBI. Portland split their doubleheader with Trenton. They took the first contest 5-1. Chris Smith (6-8) went 6 innings allowing 1 run on 3 hits and 4 BB. He had 3 Ks. Hunter Jones threw a scoreless inning allowing 1 hit. He had 2 Ks. Jeff Natale went 2 for 2 with a run scored and a RBI. Iggy Suarez went 1 for 3 with a home run. Bryan Pritz went 1 for 3 with 2 RBI. The Sea Dogs fell 4-3 to Trenton in the second game. John Barnes started and went 4 1/3 innings giving up 3 runs on 4 hits and 7 BB. He had 2 Ks. Kyle Jackson (4-9) threw 1 2/3 innings allowing 1 run on 3 BB. He had 1 K. Andrew Dobies retired the 3 batters he faced. John Otness went 2 for 3 with 3 RBI. Lancaster edged San Jose 6-5. Travis Beazley started and went 5 innings allowing 4 runs on 7 hits and 2 BB. He had 3 Ks. Jason Blackey (4-0) went 3 innings giving up 1 run on 2 hits and a BB. He had 2 Ks. Chad Rhoades threw a perfect 9th recording 2 Ks. Steve Garrabrants went 2 for 5 with a run scored and a RBI. Brad Correll went 2 for 4 with a run scored and a RBI. Lars Anderson went 2 for 4 with a run scored and a RBI. Scott White went 2 for 4 with a RBI. Christian Lara went 1 for 2 with a home run and 2 RBI. Oneonta blasted Lowell 8-2. Jose Capellan (4-3) went 5 2/3 innings giving up 7 runs on 9 hits and 2 BB. He had 4 Ks. Adam Mills went 1 1/3 innings giving up 1 run on 2 hits and 2 BB. Eric Beattie threw a scoreless inning allowing 1 hit and a BB. He had 1 K. Che-Hsuan Lin went 2 for 4 with a run scored. He is now hitting .375. David Marks went 2 for 3. Newly signed Lowell INF Ryan Dent wasted little time in making an impression on the SoxProspects.com voters, going .524/.583/.905/1.488 with one HR, and one double, and flashing his speed with two triples and two stolen bases, literally running away with the Player of the Week voting (August 18-25). Dent who scored six runs and batted in two, also drew three walks and struck out twice in 21 ABs. Lancaster RHP T. J. Large had a great week out of the pen, making two appearances and earning two saves, both on the road at Rancho Cucamonga (Angels), in three perfect innings pitched, striking out three, and thereby became the first relief pitcher voted SoxProspects Pitcher of the Week (August 19-25). Large, a 46th round pick in 2005, features a low 90s fastball/cutter and a good curveball. With Lancaster Large is 6-4 with eight saves, owns a 3.28 ERA, and has allowed 53 hits in 49.1 IP over 30 appearances. He pitched in 17 games with Greenville earlier this season. 8/29 Cup of Coffee: Last night, Portland split a doubleheader with Trenton while New Hampshire was losing both ends of their twinbill. The result is that the Sea Dogs now have a 1 game lead in the wild card race. Trenton won the first game 7-3. Michael Bowden (8-5) went 4 1/3 innings giving up 4 runs on 5 hits and 2 BB. He had 2 Ks. Beau Vaughan threw 1 2/3 innings allowing 1 run on 1 hit and 1 BB. He had 3 Ks. Jose Vaquedano went 1 inning and gave up 2 runs on 4 hits. He had 1 K. Aaron Bates went 2 for 3 and scored a run. John Otness went 1 for 3 with a run scored and 2 RBI. The Sea Dogs came back to take the second game 9-0 behind the brilliant pitching of Felix Diaz. He threw 7 innings of 1 hit baseball. He did not allow a BB and had 6 Ks. Jeff Corsaletti went 3 for 4 with 3 runs scored and a RBI. Tony Granadillo went 2 for 4 with a run scored and 2 RBI. Jeff Natale went 2 for 3 with 3 RBI. Andrew Pinckney went 3 for 3 with a run scored. Sal Paniagua was also 3 for 3 with a run scored. San Jose defeated Lancaster 9-5. TJ Nall started and went 6 1/3 innings allowing 5 runs on 6 hits and a BB. He had 1 K. TJ Large (6-4) took the loss giving up 4 runs on 5 hits and a BB. He had 1 K. Blake Maxwell finished the game throwing 2 scoreless innings. He gave up 1 BB and had 2 Ks. Steve Garrabrants went 2 for 5 with 2 home runs and 4 RBI. Lars Anderson went 2 for 4 with a RBI. Greenville defeated Augusta 12-9. Joseph Guerra started and went 6 innings. He allowed 4 runs on 9 hits and a BB. He had 4 Ks. Bryce Cox gave up 3 runs on 2 hits. He did not retire a batter. Chad Povich (1-0) blew the save but picked up the win. He allowed 2 runs on 2 hits and a BB. He had 1 K. Josh Papelbon closed the game out throwing 2 scoreless innings. He allowed 1 hit. Argenis Diaz went 3 for 6 with a run scored and 3 RBI. Josh Reddick went 3 for 5 with a home run, 3 runs scored and 3 RBI. Paul Smyth went 2 for 5 with a RBI. Jason Place went 2 for 5 with a run scored and 2 RBI. Chih-Hsien Chiang went 2 for 4 with a run scored. Kris Negron went 4 for 5 with 3 runs scored and a RBI. He also stole 2 bases bringing his total to 28 for the season. Lowell defeated Oneonta 5-3. Felix Doubront threw 5 innings allowing 3 runs on 7 hits. He had 4 Ks. Eammon Portice went 2 scoreless innings allowing 1 hit. He had 4 Ks. Willy Mota (5-3) threw 2 perfect innings. He had 4 Ks. Ryan Dent went 2 for 4 with a run scored and 1 RBI. Yamaico Navarro went 1 for 3 with a run scored and a RBI. 8/28 Cup of Coffee: On Monday, Rochester doubled the score on Pawtucket 10-5. Clay Buchholz (1-3) started and went 5 1/3 innings. He gave up 5 runs on 5 hits and 3 BB. He had 4 Ks. Edgar Martinez went 1 2/3 innings and did not allow a run. He have up 3 hits and a BB. He had 2 Ks. Abe Alvarez did not retire a hitter but gave up 4 runs on 3 hits. Lincoln Holdzkom went 1 inning and gave up 1 run on 1 hit. He had 1 K. Jacoby Ellsbury went 2 for 5 with a home run and 2 RBI. He raised his BA to .300. Jeff Bailey went 2 for 4 with a run scored and a RBI. Portland got back into a tie position in the wild card race by defeating Trenton 5-2. Jon Lester (1-0) went 6 innings allowing 1 run on 5 hits and 4 BB. He had 4 Ks. He was named the Big Dog Player of the Game. Barry Hertzler threw a clean inning and had 1 K. Andrew Dobies went 1 inning and gave up 1 run on 2 hits. Mike James pitched a perfect 9th. He had 1 K. Iggy Suarez went 2 for 4 with 2 runs scored and a RBI. John Otness went 2 for 4. Augusta defeated Greenville 7-5. Daniel Bard went 4 1/3 innings and allowed 1 run on 5 hits and 6 BB. He had 3 Ks. Chris Jones threw 1 1/3 innings and gave up 3 runs on 4 hits. He had 1 K. Chris Province (3-2) blew the save and took the loss. He allowed 3 runs on 2 hits and 2 BB in 2 1/3 innings. He had 2 Ks. Argenis Diaz went 2 for 5 and scored a run. Mike Jones went 2 for 5 with 2 runs scored and a RBI. Matt Sheely went 2 for 4 with a run scored. Chih-Hsien Chiang went 2 for 3 with 3 RBI. Staten Island edged Lowell 2-1. Jordan Craft started and went 6 innings allowing 1 run on 2 hits. He did not allow a walk and had 6 Ks. Tony Bajoczky (0-1) went 2 1/3 innings allowing 1 run on 2 hits and 2 BB. He had 1 K. Carlos Gonzalez retired the 2 batters he faced. Rafael Cabreja went 2 for 3 with a RBI. David Marks went 2 for 4. Player of the Night: Jordan Craft who although his team did not win had an impressive outing going 6 innings. He allowed just 1 run on 2 hits. He did not give up a BB and had 6 Ks. Lancaster 2B Tony Granadillo has been promoted to AA Portland, according to Lancaster sources. In 109 games with the JetHawks Granadillo posted a .326/.411/.492/.903 line with eight homers, 36 doubles and seven triples. He is SoxProspects.com's #31 rated prospect. 8/27 Cup of Coffee: On Sunday, Rochester edged Pawtucket 4-3. Charlie Zink (2-2) went 6 innings giving up 4 runs on 5 hits and 3 BB. He had 6 Ks. Craig Hansen pitched a perfect inning and had 1 K. Craig Breslow threw a clean inning as well with 1 K. Jacoby Ellsbury continued his consecutive game hitting streak going 2 for 5. Joe McEwing went 2 for 5 and scored a run. Jed Lowrie went 2 for 3. Chris Carter went 2 for 4 with a run scored and a RBI. Bobby Scales went 2 for 4 with 2 RBI. New Hampshire took over the lead for the wild card by blanking Portland 3-0. Justin Masterson (4-3) went 5 innings allowing 2 runs on 4 hits and 2 BB. He had 5 Ks. Hunter Jones threw 2 innings allowing 1 run on 1 hit and a BB. He had 3 Ks. Kyle Jackson pitched a scoreless inning allowing 1 hit and a BB. He had 2 Ks. Jeff Natale went 2 for 3. Lancaster bombed Stockton 20-5. Adam Cox (1-1) went 5 innings allowing 5 runs on 7 hits and a BB. He had 5 Ks. TJ Large threw a scoreless inning allowing 1 BB. Jason Blackey threw 2 clean innings with 2 Ks. Chad Rhoades threw 1 scoreless inning giving up 1 hit and a BB. Zach Daeges went 3 for 4 with a home run, 2 runs scored and 6 RBI. Brad Correll went 2 for 5 and scored 3 runs. Jon Still went 3 for 5 with a home run and 4 runs scored. Lars Anderson went 2 for 3 with a home run, 4 runs scored and 5 RBI. He also walked 3 times. Kannapolis defeated Greenville 3-1 in the first game of a twin bill. Jimmy James (2-5) went 5 innings giving up 3 runs on 9 hits and 3 BB. He had 2 Ks. Bryce Cox threw a scoreless inning giving up 2 hits. Jason Place had the only hit for the Drive. He went 1 for 3. Kannapolis completed the sweep by taking the second game 6-5. Ryan Phillips pitched 5 innings giving up 5 runs on 6 hits and 2 BB. Richie Lentz (0-1) went 1 1/3 innings allowing 1 run on 1 hit. Argenis Diaz went 2 for 5. Paul Smyth went 2 for 3 with a run scored and a RBI. Chih-Hsien Chiang went 1 for 3 with a home run and 2 RBI. Staten Island defeated Lowell 9-6. Nick Hagadone threw 3 scoreless innings allowing 2 hits. He had 4 Ks. Adam Blackley went 3 innings and allowed 2 runs on 4 hits. He had 4 Ks. Ryne Lawson (4-4) blew the save and took the loss. He went 1 1/3 innings giving up 5 runs on 5 hits. He went 1 K. Felix Ventura went 1 2/3 innings giving up 2 runs on 3 hits and 2 BB. He had 2 Ks. Oscar Tejeda went 3 for 5 with a run scored and 2 RBI. The Gulf Coast Red Sox completed their season on a losing note losing to the Blue Jays 3-2. They ended up 3rd in the Southern Division. Brock Huntzinger threw 2 innings allowing 1 run on 1 hit. He had 4 Ks. Hunter Strickland went 2 innings giving up 3 runs on 6 hits. He had 4 Ks. Dan Buller went 2 innings allowing 1 run on 4 hits. He had 3 Ks. Argenis Paulino threw 2 scoreless innings. He had 1 K. Anthony Rizzo went 2 for 4. Pete Gilardo went 2 for 3. Player of the Night: Lars Anderson who was on base 5 times, had a home run, scored 4 times and drove in 5 more. 8/26 Cup of Coffee: On Saturday, Pawtucket edged Rochester 9-8. Mike Burns went 5 1/3 innings allowing 6 runs on 9 hits. He had 4 Ks. Abe Alvarez threw 1 1/3 innings and did not allow a run or a hit. He gave up 2 BB. Bryan Corey (6-8) blew the save but was credited with the win. He went 1 1/3 innings giving up 2 rubs on 3 hits and a BB. Travis Huges pitched a clean 9th and had 2 Ks. Royce Clayton went 3 for 5 with a run scored and 2 RBI. Brandon Moss went 2 for 5 with 2 RBI. Chris Carter went 1 for 4 with a home run and 2 runs scored. New Hampshire tied Portland in the race for the wildcard position by defeating them 6-1. Tommy Hottovy (3-10) took the loss going 4 innings. He gave up 6 runs on 9 hits and a BB. He had 3 Ks. Beau Vaughan threw 2 scoreless innings allowing 1 hit and 1 K. He had 3 Ks. Jose Vaquedano pitched a scoreless inning allowing 1 hit. Barry Hertzler threw 1 clean inning. Bryan Pritz went 2 for 4 with a RBI. Stockton blasted Lancaster 13-4. Kris Johnson (8-7) went 4 1/3 innings allowing 7 runs on 9 hits and 2 BB. He had 4 Ks. Ismael Casillas went an inning giving up 4 runs on 5 hits and a BB. He had 1 K. Kyle Fernandes went 2 2/3 innings and gave up 1 run on 3 hits. He had 5 Ks. Cody McAllister pitched 1 frame allowing 1 run on 3 hits. He had 1 K. Tony Granadillo went 2 for 5 with 2 runs scored. Zach Daeges went 4 for 4 with a run scored and 2 RBI. Brad Correll went 2 for 5 with 2 RBI. The Greenville / Kannapolis game was postponed. Lowell doubled the score on Staten Island 6-3. Miguel Socolovich (4-3) went 6 innings allowing 2 runs on 8 hits. He had 5 Ks. Scott Lonergan pitched 2 innings giving up 1 run on 1 hit. Felix Ventura picked up his 14th save pitching a clean 9th inning and striking out the 3 batters he faced. Rafael Cabreja went 2 for 4 with a run scored. Ty Weeden went 2 for 3 with a home run, 2 runs scored and 3 RBI. David Marks went 2 for 3 with a run scored and a RBI. The Gulf Coast League Red Sox edged the Pirates 9-8. Mike Rozier went 2 innings giving up a run on 3 hits. He had 1 K. Jose Alvarez (4-1) went 4 innings giving up 5 runs on 6 hits. He had 3 Ks. Mauricio Mendez threw 2 scoreless innings. He allowed 3 hits and had 2 Ks. Ryne Miller pitched a clean 9th inning with 2 Ks. Cheh-Hsuan Lin went 3 for 5 with a run scored. Ryan Dent went 3 for 5 with 2 runs scored and a RBI. David Mailman went 3 for 4 with a home run, 2 runs scored and 2 RBI. Jared Stanley went 2 for 3 with a home run, 2 runs scored and 4 RBI. The Dominican League Red Sox ended their season yesterday in 4th place in their division with a record of 38- 31. 8/25 Cup of Coffee: Pawtucket split a doubleheader with Buffalo. They lost 7-0 in the first contest but came back to take the second game 7-4. The big story of the night was Jacoby Ellsbury who had hits in both games to set a new PawSox consecutive game hitting streak. He has now hit in 20 straight games. In the first game, David Pauley (6-6) started and took the loss. He went 4 2/3 innings allowing 7 runs on 7 hits and 3 BB. He had 4 Ks. Craig Hansen made his first appearance since coming off the DL. He went 2/3 of an inning and did not allow a run although he gave up 2 BB and a hit. He had 1 K. Lincoln Holdzkom pitched 2/3 of an inning and gave up a BB. He had 2 Ks. Bobby Scales, Brandon Moss, Jacoby Ellsbury, and Chris Carter were all 1 for 3 in that game. Devern Hansack (9-7) started the second game and went 5 2/3 innings to earn the win. He allowed 4 runs on 7 hits and 3 BB. He had 4 Ks. Bryan Corey went 1/3 of an inning retiring the only batter he faced. Travis Hughes threw a scoreless inning allowing a BB. He had 1 K. Jacoby Ellsbury went 3 for 4 with 2 runs scored and a RBI. Jed Lowrie went 2 for 4 with a run scored and a RBI. Bobby Scales went 2 for 3 with a RBI. He is now hitting .295. Brandon Moss went 1 for 3 with 2 runs scored. He hit his 16th home run of the season. Portland ,in their race for the wildcard, doubled the score on New Hampshire 12-6. Chris Smith (5-8) went 6 innings to earn the win. He allowed 4 runs on 8 hits and a BB. He had 5 Ks. Andrew Dobies went 1 scoreless inning. He allowed 1 hit and had 1 K. Kyle Jackson pitched an inning and gave up 2 runs on 2 hits. He had 3 Ks. Mike James threw a scoreless 9th. He allowed 1 hit and recorded 2 Ks. Aaron Bates went 2 for 5 with a home run, 3 runs scored and 5 RBI. Chad Spann went 3 for 5 with 2 rruns scored and 3 RBI. Cory Keylor went 2 for 5 with a RBI. Lancaster defeated Stockton 6-4. Dustin Richardson (3-0) started and went 6 innings to earn the win. He allowed 4 runs on 6 hits and a BB. He had 11 Ks. Blake Maxwell pitched the final 3 innings. He did not allow a run on just 1 hit. He had 1 K. Ryan Khoury went 2 for 4 and scored a run. Zach Daeges went 2 for 3 with 2 runs scored. Mickey Hall went 2 for 4 with a home run and 2 runs scored. Greenville defeated Kannapolis 7-2. Brian Steinocher went 4 1/3 innings allowing 2 runs on 7 hits and 3 BB. He had 2 Ks. Jorge Rodriguez (5-1) earned the win going 1 2/3 scoreless frames. He did not allow a hit but walked 2. Chad Povich threw 2 scoreless innings allowing 2 hits and a BB. He had 2 Ks. Josh Papelbon pitched a scoreless 9th allowing 1 hit. Argenis Diaz went 2 for 5 and scored a run. Paul Smyth went 2 for 5 with 2 RBI. He is now hitting .333. Jon Egan went 2 for 4 and scored a run. Jason Place went 2 for 4 with a home run and 3 RBI. Lowell outslugged Aberdeen 11-10. Jose Capellan started and went 6 innings allowing 4 runs on 7 hits. He did not allow a BB while recording 7 Ks. Adam Mills blew the save allowing 6 runs( only 2 of which were earned) on 5 hits. He had 3 Ks. Willy Mota (4-3) got the win pitching a scoreless 9th. He allowed 2 hits and had 1 K. Carlos Fernandez-Oliva went 2 for 6 with a run scored and 4 RBI. He is now hitting .317. Oscar Tejeda went 3 for 6 with a run scored and 3 RBI. He is hitting .389. Jorge Jimenez went 4 for 5 with a run scored and 2 RBI. He raised his BA to .305. Ty Weeden went 2 for 4 with a home run and 3 RBI. Pedro Vasquez went 2 for 4 and scored twice. In the Gulf Coast League, the Red Sox doubled the Orioles 6-3. Carlos Almanzar went 2 innings and did not allow a run on 2 hits. He had 2 Ks. Emilis Guerrero (3-0) went 4 innings allowing 1 run on 3 hits and a BB. He had 3 Ks. Armando Zerpa went 2 innings and gave up 2 runs on 3 hits. Victor Galue threw a scoreless 9th giving up 2 hits. Ryan Dent had a perfect night going 4 for 4 with a home run and 3 runs scored. He is now hitting .370. Jared Stanley went 1 for 3 with a home run and 3 RBI. In the Dominican League, the Red Sox lost to the Blue Jays 3-2. Yeiper Castillo (2-2) took the loss giving up 3 runs on 4 hits and a BB in 5 1/3 innings. He had 5 Ks. Juan Bonifaico went 2 for 3 and scored 2 runs. Player of the Night: Jacoby Ellsbury for establishing a new Pawtucket consecutive game hitting streak. He has now hit in 20 straight games. Honorable mention to Ryan Dent and Jorge Jimenez. 8/24 Cup of Coffee: On Thursday, the Pawtucket / Buffalo game was postponed. New Hampshire blasted Portland 7-1. Felix Diaz (3-3) took the loss giving up 6 runs on 10 hits and 2 BB in 6 innings. He had 3 Ks. Barry Hertzler threw 1 inning giving up 1 run on 3 hits. He had 1 K. Jose Vaquedano pitched 1 scoreless inning allowing 1 hit. Iggy Suarez went 2 for 4. Lancaster edged Rancho Cucamonga 9-8 in 10 innings. TJ Nall went 5 1/3 innings allowing 6 runs on 7 hits and a BB. He had 6 Ks. Cody McAllister went an inning and gave up 1 run on 2 hits. He had 1 K. Chad Rhoades (3-2) threw 2 2/3 innings allowing a run on 6 hits. He had 2 Ks. TJ Large pitched a 1-2-3 final frame recording 1 K. Zach Daeges went 3 for 5 with 3 runs scored and 2 RBI. Jon Still went 2 for 4 with a RBI. Zak Farkes went 2 for 6. Greenville defeated Augusta 5-3. Joseph Guerra (2-0) threw 7 innings and gave up 2 runs on 6 hits. Richie Lentz went 1 2/3 frames allowing 1 run on 2 hits and 2 BB. He had 2 Ks. Josh Papelbon went 1/3 of an inning retiring the only batter he faced. Argenis Diaz went 2 for 5 with a RBI. Matt Sheely went 2 for 5 with a run scored. Josh Reddick went 2 for 5 with a home run. Paul Smyth went 1 for 5 with a home run and 3 RBI. Aberdeen defeated Lowell 6-5. Felix Doubront had a strong start going 5 scoreless innings allowing just 1 hit. He gave up 2 BB and struck out 3. Eammon Portice threw 2 innings allowing 4 runs on 5 hits. He had 3 Ks. Carlos Gonzalez (0-2) went 2 innings giving up 2 runs on 4 hits. He had 1 K. Carlos Fernandez-Oliva went 2 for 4. Yamaico Navarro went 2 for 5. Rafael Cabreja went 3 for 4. Kade Keowen went 3 for 4 and scored 2 runs. In the Gulf Coast League, the Red Sox edged the Reds 3-2. Daniel Haigwood (1-0) went 5 innings and did not allow a run. He gave up 4 hits while fanning 6. Ryan Colvin threw 3 innings and gave up 2 runs on 4 hits. He had 2 Ks. Ryne Miller threw a scoreless 9th allowing 3 hits. Ryan Dent went 1 for 2 and scored a run. Ken Roque went 1 for 3 with a RBI. The Dominican League Red Sox defeated the Giants 5-3. Charlie Rosario (3-3) went 5 innings allowing 1 run on 2 hits and a BB. He had 4 Ks. Manuel Rivera closed the game going 1 1/3 innings. He did not allow a hit or a BB and had 2 Ks. He lowered his ERA to 1.04. Opponents are hitting just .197 against him. Roberto Feliz went 2 for 5 with a home run and 2 RBI. Player of the Night: Zach Daeges who went 3 for 5 with 3 runs scored and 2 RBI. Honorable mention to Felix Doubront. Royce Clayton agreed to a minor league contract with the Red Sox today. The 37 year old shortstop was released by the Blue Jays on August 8th after hitting .254 with 1 home run and 12 RBI's in 189 at-bats. Clayton has been assigned to Triple-A Pawtucket. Jon Lester was optioned to Double-A Portland today, in order to make room for left hander Javier Lopez on the active roster. Lester had gone 2-0 with a 5.67 ERA in 6 starts since being called up on July 23rd. The demotion is not permanent as he is expected only to miss one start before he is to return for a start on September 2nd. Julian Tavarez is expected to take Lester's start for Sunday's game against the White Sox. This will be the third time Lopez has been with the big club this season. SoxProspects.com recently exchanged some Q&A's with Lowell SP Nick Hagadone. Nick was the first player taken by the Red Sox in the 2007 draft, and the 55th player taken overall. He started his season in Lowell with a tough outing but hasn't allowed an earned run in 14 innings since his debut. Many thanks to Nick for taking the time to answer our questions. SP: You were drafted in the later rounds in 2004 by Seattle. What factors went in your decision to turn down the Mariners and enroll at the University of Washington? NH: When I was drafted in 04' by Seattle, it was in the later rounds, and I was going to be a draft-and-follow so there was no guarantee that I was going to be able to sign. During high school, baseball wasn't my main focus. I concentrated mostly on developing my football skills and I felt like I wasn't ready to make the jump from high school to professional baseball. Originally I was signed to go to Bellevue Community College but then Ken Knutson from the UW called and offered me a scholarship. It was an opportunity that I couldn't pass up because I knew that the coaching staff there would help me to fully develop my potential. SP: At UW, you were part of a pretty good pitching staff, including Tim Lincecum and our own Richie Lentz. What have you learned from these pitchers and what might they have learned from you? Have you been in touch with Richie Lentz since joining the organization? NH: At Washington I think it was a big help for me to be a part of a pitching staff with so many good pitchers like Tim and Richie. Watching those guys for my first two years really helped me learn how to attack hitters and just be aggressive by throwing a lot of strikes. I was only able to see Richie throw about ten innings but he and Lincecum were both exciting to watch because they threw very hard and were dominating. I think one thing that those two and hopefully everyone who I have played with can learn from me is the value of hard work. By working hard I was able to fully develop my talent and go from not pitching to having a pretty big role on the team this year. I haven't been in contact with Richie yet since I've been in the organization, but I'm sure that I will see him at UW during the off-season. SP: How was the draft experience for you this year? Did you have a good idea of where you'd be selected? Did you have a lot of contact with the Red Sox before the draft? NH: The draft experience for me this year was both stressful and exciting. I knew that there was a very good chance that I would be drafted, but I wanted to improve my stock by performing well throughout the whole spring. Going into last fall and winter, no scouts really knew who I was, and I just wanted to make sure that every time I pitched that I had a good outing. Going into the draft I had a general range of picks where I thought that I was going to go, but there was nothing for sure, which made it very stressful just waiting for my name to pop up on the draft tracker. Before the draft I had a lot of contact with the Red Sox. I met the area scout John Booher around Christmas time and was in contact with him quite a bit until the draft. SP: Comparing your past six pro outings to your first is like night and day. Were you feeling any jitters during your debut that led to that result, was it a matter of rust, or was it just coincidental? NH: My first pro outing definitely didn't go the way that I wanted it to go, I didn't even make it through my two innings before getting pulled out - I was very disappointed with my performance. I was a little nervous, but it was just one of those days where they hit pretty much anything that I threw up there, and when I made mistakes I got hurt. Since then, I have just tried to forget about it and make adjustments to the way that I go after the hitters and what pitches I throw them in certain situations. SP: What are your feelings on having your outings limited to 2 or 3 innings? Does it get frustrating at all? NH: Being limited to 2 or 3 innings in my first season can be frustrating at times, but I know that it is being done for a good reason. I know that everyone in this organization knows what they are doing when it comes to developing players so I have just learned to trust them and do whatever they tell me to do. SP: What's been the biggest adjustment you have faced going from college baseball to the professional ranks? NH: The biggest adjustment that I have had to make from college to the pros is learning how to go after hitters. In college, our coach called all of the pitches so there was really no thinking involved. Now I have to be aware of the kinds of swings hitters are putting on certain pitches and their strengths and weaknesses so I can throw the right pitch. I have also started to throw more change-ups this summer. In college I relied on only my fastball and slide, but at this level you have to be able to throw a change-up too. SP: Has the organization worked with you on developing certain pitches this year, or have they allowed you to just do your own thing so far? NH: Yes, they have worked a great deal with me to develop my change-up. In college, I had four pitches that I threw. Mainly I would use my fastball and slider, but I also had a change-up and a split finger. When I got to Lowell, the pitching coach told me that my change-up has a lot of potential to be a good pitch and that I should just concentrate on developing it and to stop throwing a split. That was a huge help because now I only have to work on three pitches instead of four and I can devote more time to each one. SP: We hear a lot from the scouts and we've had a chance to get to see you play, but we like to ask the prospects to give scouting reports on themselves. What velocities do you throw your pitches at? Do you like to use your slider or fastball as your out pitch? How is your change-up coming along? What's the one aspect of your game you think needs the most work? NH: First of all, I like to throw a lot of fastballs. Doing that enables me to be aggressive and go after hitters and to also get ahead in the count. I feel like I have pretty good command of the pitch and it sits in the 92-93 mph range, topping out at 95. Right now, my slider is my best secondary pitch. I've been throwing it around 82-83 this summer and it has sharp downward bite. I use it as my out pitch to both lefties and righties, and I have the confidence to throw it for strikes when I am behind in the count. My change-up has been a big surprise for me this summer, I never really had to use it in the past but I have found out that the more I throw it the better it is getting - I keep on gaining confidence in it. I throw it at 80-81 mph and I have used it to effectively keep hitters off-balance so they can't just sit on my fastball. One of the main things that I try to do on the mound is to be the aggressor. I always want to be ahead in the count, and I like to challenge hitters. SP: If it was up to you, do you prefer starting or coming out of the pen? NH: Honestly, I don't have a real preference, each role has its benefits. Starting is good because there is a set routine and you know exactly when you are going to pitch so you can lift and run harder in between starts. It's also good because you get to throw more innings than a closer. One thing that I like about closing is the adrenaline rush that you get when you come into the ninth inning of a close game. Closing forces you to challenge everyone and the intensity and pressure of the situation make it more fun. SP: If you had to pick one teammate at Lowell who has impressed you most this season, who would it be? NH: I would say that Jose Capellan has impressed me the most this season in Lowell. Every start he seems to have a great outing and he always keeps the hitters of balance by mixing up his three pitches. SP: What are your off-season baseball plans? Will you be pitching in the Fall Instructional League? Working on anything in particular? NH: My off-season baseball plans are to basically improve as much as possible before I report to Spring Training. I plan on getting in even better shape, becoming stronger, and also more flexible. I want to make sure that I keep on getting better so I can make it to the big leagues. I will be pitching in instructional league this fall, and they have told me that I will be limited to throwing only my fastball and change-up. This will enable me to have three good pitches when I make my starts next year. SP: What are your off-season non-baseball plans? What does Nick Hagadone like to do in his free time? NH: My off-season non-baseball plans are to spend a lot of time with friends and family. I don't get to see them as often now because I am across the country for half the year so the time I get to spend at home is very valuable to me. It will be great to be able to see my girlfriend every day and to be able to see my parents whenever I want to. I live in Seattle in the off-season and it's only 45 minutes from my hometown of Sumner, so it's an easy trip. Lars Anderson is heading west according to Greenville Online. The Greenville Drive first baseman has been promoted to the Lancaster Jethawks, a team that is playoff bound. Anderson finishes with a .288 batting average with 10 home runs and 69 runs batted in 124 games for the Drive. 8/23 Cup of Coffee: On Wednesday, Buffalo edged Pawtucket 7-6. Clay Buchholz (1-2) went only 3 innings and gave up 3 runs on 4 hits and 2 BB. He had 3 Ks. Edgar Martinez threw 2 1/3 innings allowing 3 runs on 3 hits and a BB. He had 1 K. Craig Breslow went an inning and allowed 1 run on 3 hits and a BB. He had 1 K. Lincoln Holdzkom pitched the final 1 2/3 frames. He did not allow a run on 1 hit and 2 BB. He had 1 K. Jed Lowrie went 2 for 4 with a home run and 3 RBI. Ed Rodgers went 2 for 4 and scored a run. Portland blasted Binghampton 10-2. Michael Bowden (8-4) went 6 innings giving up 1 run on 5 hits and 0 BB. He had 5 Ks. Hunter Jones threw 2 scoreless innings allowing 1 hit and a BB. Beau Vaughan pitched 1 inning allowing 1 run on 2 hits. He had 2 Ks. Jeff Corsaletti went 3 for 3 with 3 runs scored. Bryan Pritz went 3 for 4 with a run scored and 3 RBI. Aaron Bates went 1 for 2 with 2 runs scored. He had 3 BB. Rancho Cucamonga defeated Lancaster 8-1. Travis Beazley (6-2) pitched 3 innings allowing 8 runs on 9 hits. Jason Blackey threw 4 perfect innings of relief. He had 4 Ks. Ismael Casillas threw 1 scoreless inning. He did not allow a hit but gave up 1 BB. He had 1 K. Zach Daeges went 2 for 3. Augusta defeated Greenville 6-2. Daniel Bard (3-5) went 1 1/3 innings giving up 5 runs on 3 hits and 2 BB. He had 3 Ks. Chris Jones threw 3 2/3 innings and did not allow a run, hit or a BB. He had 2 Ks. Chris Province pitched 2 scoreless innings. He gave up 2 hits and a BB. He had 1 K. Bryce Cox threw a clean inning with 1 K. Josh Papelbon threw the final inning and gave up 1 run on 2 hits. Aaron Reza went 3 for 4 with a RBI. Matt Sheely went 2 for 3. Kris Negron went 2 for 4 and scored twice. Lowell hammered Aberdeen 11-2. Jordan Craft (6-3) threw 6 innings allowing 2 runs on 4 hits and a BB. He had 7 Ks. Tony Bajoczky threw 3 scoreless innings on 1 hit and a BB. He had 4 Ks. Carlos Fernandez-Oliva went 2 for 4 with 2 runs scored and 2 RBI. Oscar Tejeda went 3 for 5 with 3 runs scored and a RBI. Yamaico Navarro went 3 for 5 with 2 runs scored and 3 RBI. In the Dominican League, the Red Sox defeated the Dodgers 5-2. Cesar Cabral (5-4) went 6 innings giving up 1 run on 4 hits. He had 5 Ks. Nelson Bonilla went 2 for 4 with a home run. Player of the Night: Michael Bowden who allowed 1 run over 6 innings. He did not give up a BB while fanning 5. Lancaster OF Mickey Hall put up a sizzling line last week under the California sun, batting .448/.552/.833/1.385 (11/24) and the voters took notice, naming him SoxProspects.com Player of the Week, August 12-18. Over this seven game span against High Desert (Mariners) and Modesto (Rockies), Hall compiled two HR and three doubles, scoring four runs and batting in six. The lefty swinging Hall, 22, is .305/.410/.549/.959 in 73 games since being called up from Greenville. He was a second round pick in 2003. Portland RHP Michael Bowden threw seven innings of five hit, one run ball August 17 against New Britain (Twins), earning the win and SoxProspects.com Player of the Week honors for August 12-18. Bowden struck out seven and walked none, holding New Britain to a .200 BAA (.71 WHIP, .631 OPSa). This is Bowden's fourth Pitcher of the Week award, having won the voting April 15-21, May 6-12 and June 10-16. 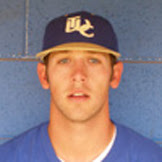 Honorable mention: Lancaster LHP Dustin Richardson, 1-0, 6 IP, 1 ER, 3 H, 6 K/O BB. 8/22 Cup of Coffee: Last night, Pawtucket defeated Syracuse 9-7. Charlie Zink started and went 6 innings. He gave up 5 runs on 8 hits and 4 BB. He had 4 Ks. Craig Breslow (2-2) blew the save but was credited with the win. He threw an inning allowing 1 run on 2 hits and 2 BB. Bryan Corey pitched a clean inning and had 2 Ks. Travis Hughes pitched the 9th and allowed 1 run on 1 hit and a BB. Brandon Moss went 2 for 3 with 2 home runs and 3 RBI. Bobby Scales went 2 for 4 with a home run and 2 runs scored. Ed Rogers went 2 for 4 with a run scored and 2 RBI. Binghampton blanked Portland 6-0. John Barnes (1-2) went 5 innings and gave up 2 runs on 2 hits and 7 BB. He had 6 Ks. Kyle Jackson threw 1 inning giving up 3 runs on 4 hits and 3 BB. He had 2 Ks. Andrew Dobies pitched 2 scoreless innings. He allowed 3 hits. Jose Vaquedano pitched the 9th and allowed 1 run on 1 hit. Bryan Pritz went 2 for 4 in the game. Lancaster defeated Rancho Cucamonga 6-4. Adam Cox went 5 2/3 innings giving up 4 runs on 5 hits and 4 BB. He had 4 Ks. Kyle Fernandes (2-0) went 1 1/3 perfect innings with 1 K. TJ Large pitched 2 clean innings recording 2 Ks. Brad Correll went 2 for 4 with a home run, 2 runs scored and 2 RBI. Mark Wagner went 3 for 4 with 4 RBI. He is now hitting .320. Augusta defeated Greenville 8-3. Jimmy James (2-4) took the loss allowing 8 runs on 7 hits and 2 BB in 3 2/3 innings. Chad Povich threw 3 1/3 scoreless frames allowing 3 hits and a BB. He had 3 Ks. Brantley New pitched the final 2 innings and did not allow a run on 1 hit. Aaron Reza went 2 for 4. Josh Reddick went 3 for 5 and scored twice. Paul Smyth went 2 for 4 and scored a run. Chih-Hsien Chiang went 2 for 4. Lowell blasted Tri-City 13-0. Nick Hagadone started and threw 3 scoreless innings. He allowed 1 hit and a BB. He had 3 Ks. Adam Blackley (2-1) pitched 4 scoreless innings giving up 1 hit and 2 BB. He had 8 Ks. Eric Beattie threw a scoreless inning allowing 1 hit and a BB. Felix Ventura pitched a clean 9th inning recording 1 K. Carlos Fernandez-Oliva went 2 for 5 with 2 runs scored and a RBI. Oscar Tejeda went 3 for 5 with a run scored and a RBI. The youngster is now hitting .400 since being called up to the Spinners. Yamaico Navarro went 3 for 6 with 2 runs scored and a RBI. Rafael Cabreja went 2 for 6. Ty Weeden went 3 for 4 with 2 runs scored and a RBI. Pedro Vasquez went 2 for 3 with a home run, 3 runs scored and 3 RBI. The Gulf Coast League Red Sox edged the Twins 8-7. Carlos Almanzar threw 2 scoreless innings. He did not allow a hit or a BB and had 4 Ks. Pedro Perez went 2/3 of an inning allowing a run on 2 hits and a BB. He had 1 K. Arbert Jimenez went 3 1/3 innings. He allowed 2 runs on 3 hits. He had 5 Ks. Alberto Gil (4-1) blew the save but was credited with the win. He allowed 4 runs on 5 hits and a BB. He had 1 K. Ryne Miller went 1 1/3 innings retiring the 4 batters he faced. He had 1 K. Che-Hsuan Lin went 2 for 4 with a run scored and 2 RBI. Anthony Rizzo went 2 for 4 with a home run, 3 runs scored and 2 RBI. Jared Stanley went 3 for 4 with a run scored and 2 RBI. In the Dominican League, the Red Sox and the Marlins played to a 3-3 tie in a game that lasted only 6 innings. Randy Consuegra pitched 4 1/3 innings allowing 3 runs on 5 hits and 5 BB. He had 3 Ks. Wilfredo Pichardo went 3 for 3 and scored 2 runs.